We awoke wondering what shape Scarlett would be in. We were instructed to only give her Pedialyte or ginger ale. Scarlett, being her usual picky self, was having none of it. So we decided to try milk. She was OK. The vomiting was over. My in-laws were finally in town and staying at the same hotel. So they asked me where to get breakfast. I mentioned Lori’s and we ate there for the second day in a row. Still great service. The food’s not so great two days in a row, though. Afterward we went back to relax at the hotel since the weather was horrible – cold and rainy. 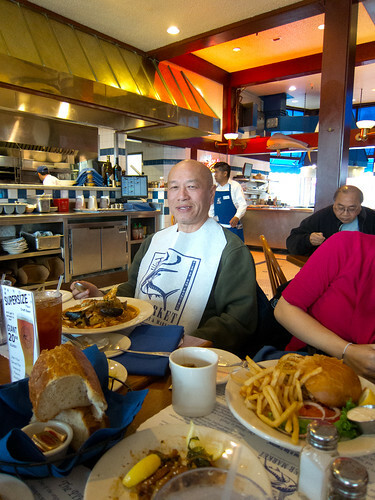 The in-laws went to Fisherman’s Wharf. Around lunch time they called and said the weather had cleared up. We decided to meet them up there but didn’t want to go through the hill again in case that’s what’d made Scarlett sick. So we decided to take the cable car. This was one of the worst tourist experiences I’ve ever had. Not number one, but maybe in the top five. 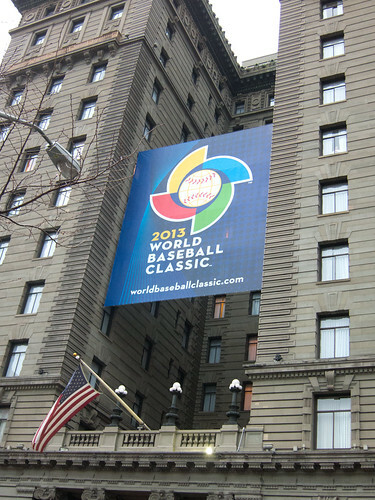 I headed to the Powell cable car station since it was the closest to the hotel. There were a couple cable cars parked there. There was a long line of people waiting to get on one. There was no sign or indication of where to go to buy tickets for the car. 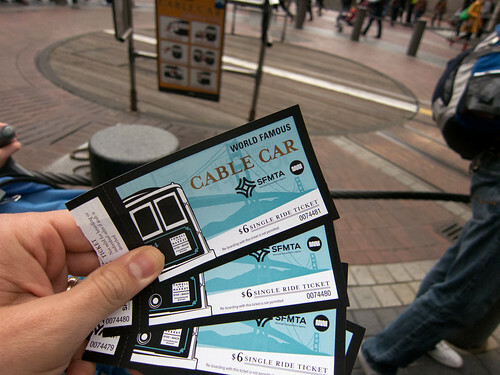 I went to a man working in a tall green cylinder who seemed he might be selling tickets for the cable car. No, he was a tourist information booth, but he did point me to an unmarked silver building where I could buy the tickets. They were $6 each way which is pretty expensive when you consider how far $6 gets you on the New York City and Washington DC. But, whatever, it’s a touristy thing so of course I was going to get fleeced. And it’s not like I was the only person confused – everyone in line was confused. (And it turned out you could buy tickets on the car itself) I also don’t understand why the cars aren’t constantly operating. There were two empty cars just sitting there for about 20 minutes before they brought it along to where we could get on. Then it took another 15-20 minutes. So, yeah, we didn’t have to walk, but it took just as long to get to Fisherman’s Wharf. So – I know at least two friends of mine from SF are reading this – does anyone from SF actually use it to get around to places where there isn’t a lot of parking? Or do you stick to BART trains and buses? Also, on the positive side, it was pretty freakin’ fun to ride. We finally arrived and had lunch with the in-laws. Then it rained like crazy so we stayed there for a long time. We did not want to take the cable car again. What we did instead is a boring story, but we did just give our return tickets to Danielle’s cousins – Thao and Beo. They also found the cable car process dumb and slow. Later we all went to Scala’s for Danielle’s birthday dinner. Scala’s was awesome. I had a steak frites there that was the BEST steak frites I’ve ever had. It was cooked in some kind of reduction sauce that was AWESOME. This is not Scala’s. Scala’s is a nice French/Italian restaurant. 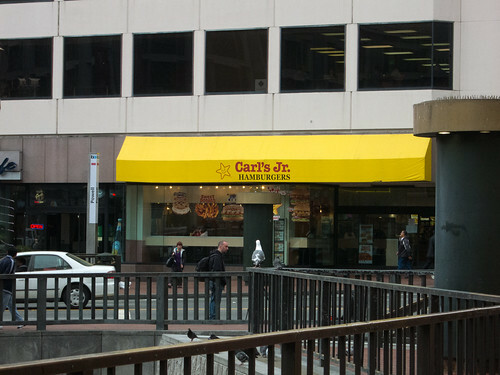 While I was waiting in line for the cable car tickets I saw a Carl’s Jr. I hadn’t eaten there since I lived in Oregon and I didn’t eat there while I was in San Francisco. But it made me wonder why McDonald’s, Burger King, and Wendy’s can be everywhere (including all over the world), but great burger places like In and Out Burger and Carl’s Jr remain regional. I don’t know how adult Eric would feel about Carl’s Jr, but when I was in Oregon I always considered it to be the best quality of the fast food burgers. More plump and juicy meat and fresher ingredients. (Before Wendy’s really made the fresh lettuce, tomatoes, and onions a priority) In and Out Burger, at the very least, is great quality like a Five Guys. Someone at work today told me that it has to do with In and Out’s policy of fresh ingredients keeping them physically close to their suppliers, but surely they could find suppliers here on the east coast. It doesn’t count for my list if it’s not a regular season game with MLB teams. Gotta have the local team playing there. 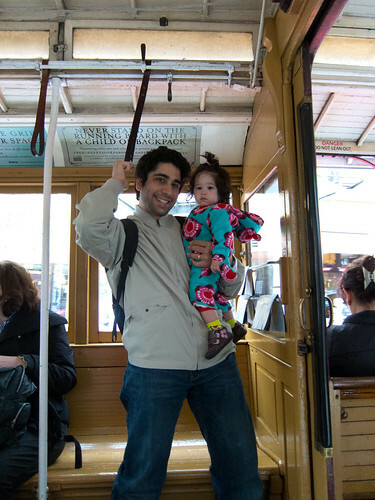 I have not ridden on a cable car yet. I see a lot of people just take the picture next to it but don’t ride it. And I think they aren’t really used as transportation. I like the refurbished subway cars they use as buses down Market St.
And re: burger places – I think the ones like In and Out and Five Guys are just slower at expanding. And in the Midwest, we had Hardee’s instead of Carl’s Jr (sibling restaurant marketing?). Besides, I think In N Out is an acquired taste – i’m not really a fan. I figured as much with the cable cars. I’ve never been to a Hardees although we have them here east. Do they also have crisscut fries?